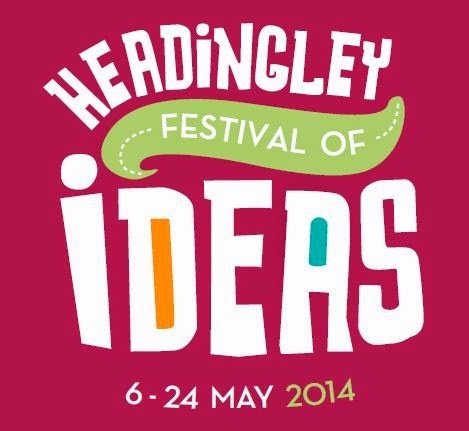 Headingley is playing host to the Festival of Ideas between 6-24 May. A number of events will take place at HEART, Headingley Library, Headingley Club and Rose Garden. From their website, the festival is described as being about creative ideas which may not necessarily lead to something – although some might – but the main purpose is to tap into the joy of ideas, debate and discussion. We aim to appeal to the wide variety of people in Headingley, and to all age groups. Alongside debates, cycling events and literary events, there are two musical items in the programme. One is by Free Range Choir and the other is in tandem with Jazz at Heart and features well-loved LCoM graduate, pianist Sam Watts. He will be talking about how we listen to and perceive music and in a fun, non-technical way thinking about exactly how it works and how we can better understand it, with illustrated examples. Since graduating from LCoM in 2010, Sam has since moved to London to complete a Masters degree at the Royal Academy of Music. His appearances back up North always pull in a crowd so audiences are advised to book tickets in advance. Sam also teaches at some of the workshops and summer schools held by Jazz at Heart and promoter Lesley Jeffries has been keen to feature Sam in a solo gig for some time, so don't miss out! For the full programme, visit the Festival of Ideas website.